"You don't have to like or dislike him. You have to respect him". Steve Waugh's simple yet hard-hitting words on Sourav Ganguly are a testimony to the polarity of opinion that the 'Prince of Calcutta' brought along with him to Indian cricket and the game in general. Waugh's words find the top of the cover of Abhirup Bhattacharya's book, titled 'Winning Like Sourav', a dissection of one of India's most influential captains, and a business-strategy and management oriented book on one of cricket's most charismatic figures. It's not easy to write a crisp book on Ganguly, especially when it's on someone the writer looks up to, but 'Winning Like Sourav' isn't just a Dada-festooning exercise. It breaks down the cricketer and the person into several facets and serves it with a dash of life lessons. There are graphs but not just the usual statistical bars highlighting runs or wickets; flowcharts and bar diagrams on leadership traits, phase swings in brand value, and concise 'leadership tip' pop-ups, all which make it interactive and far from unstimulating. 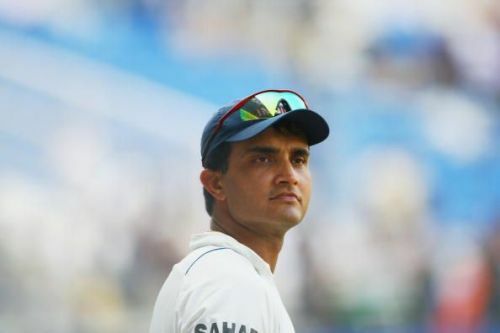 And it isn't all about his career highs - along with the shirt-waving at Lord's or Test tons in Australia, you are taken through some of Ganguly's murkiest controversies - Chappell-gate rumoured affairs and delayed coin tosses, all find a mention. For Ganguly fans, it is a nostalgic ride with a unique bend. The language is easy to go along with, but one of the biggest highlights of the book is how it seamlessly amalgamates cricket with the corporate setup. You suddenly find references to Yahoo's non-acquisition of Google, resonant and dissonant leadership styles and risk-to-reward ratios, right next to strike-rates, career averages and short-pitched deliveries. At one point, the author's cricketing acumen seems to overcompensate for the business lingo - the descriptive list of his best innings in the middle is a tad overcooked, but for the Ganguly-ardent, it is a quick revision of the memorable knocks that made him a crowd favourite. The author's views on several aspects of Ganguly's career, although personal, add weight to the text. Dada's journey from a shy boy to a feisty man is a tale replete with life lessons, and 'Winning Like Sourav' puts the point across, without making it a drab, cricket-only tome or an abstract self-help guide. In 140-odd pages, Bhattacharya excavates and lays bare Ganguly's three decades worth of cricket, still managing to admirably prise out numerous success secrets and corporate lessons, making it an all-round read.